We have tried to come up with a very different and vastly improved version of speed polish that applies very quickly and easily, leaves a deep showroom quality shine, and is entirely safe to use. It is very environmentally-friendly and it is also proving to be very, very fast. 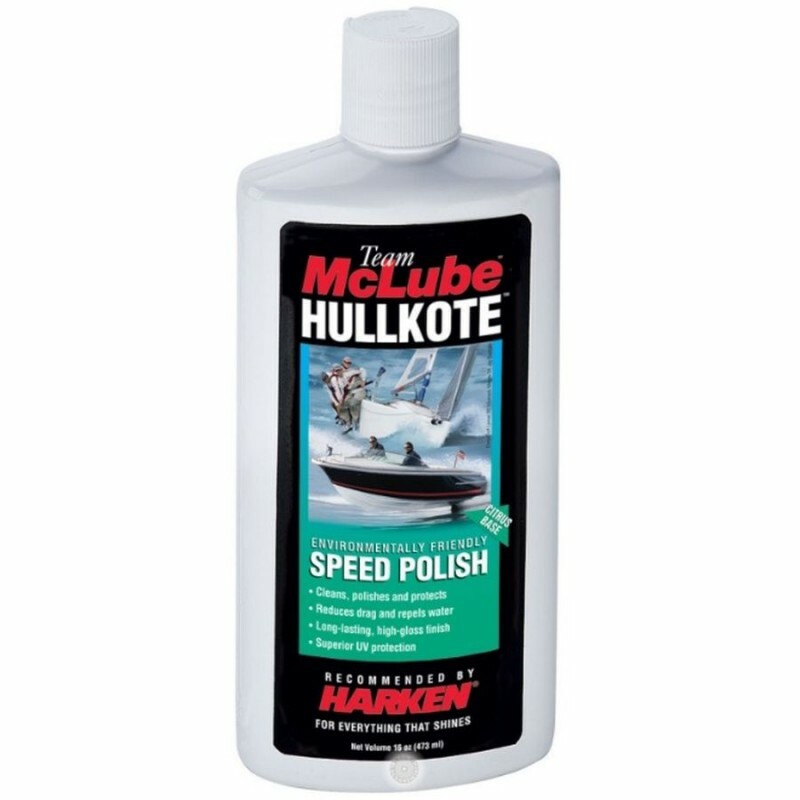 Hullkote applies in half the time of standard petroleum based polishes - just wipe on and wipe off, no waiting for anything to dry. Hullkote is made up of a high concentration of the same active ingredient suspension as Sailkote, and Hullkote benefits from the same durable chemical bond as Sailkote. Thanks to the unique citrus base, you only use approx half as much product as you normally would, and it has a deep, lustrous showroom quality shine. It lasts for more than 20 days of hard sailing after 2-3 coats it will likely last more than 30 days, and is highly hydrophobic and is proving to be very fast in all one-design field testing over the past year. Superior UV protective coating to protect all spars, hulls and other surfaces from the destructive rays of the sun. Best of all, it is the first citrus based product of its kind and it is very environmentally friendly and safe to use, so no petroleum distillates, no harsh solvents, and no nano-tech health or safety issues here. We knew you would appreciate that!